Each year, the P&C organises several Fundraising events to provide much needed help for facilities not funded by the State Government, in order to maintain the high standards of teaching and amenities that our school is proud to offer. The funds raised are used to pay for much needed resources, such as teachers’ aides, home readers, library books, sports and art equipment, upgraded playground equipment and technology items. The Fundraising committee meet once at the beginning of each term. If you wish to join this fun committee, share your ideas, or volunteer to lend a helping hand, please contact our coordinator at, ua.gr1555713387o.cdn1555713387aplar1555713387ebmaw1555713387@gnis1555713387iardn1555713387uf1555713387. 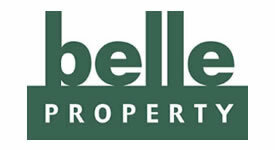 We thank ongoing support from Belle Property Wamberal who sponsor both Mother’s day and Father’s days events.